Dedicated Server is a type of Server Hosting where the server is hosted physically. 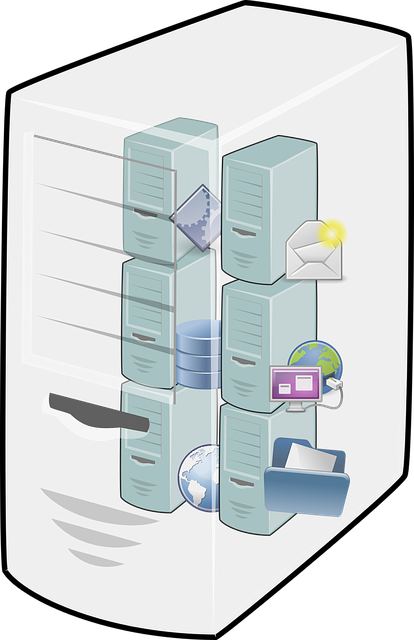 The server is within the web host data center and it is rented to a single client with related software and Internet connection. The Client can set up the system environment within the dedicated server including software, operating system and if needed, a virtualization platform. Most of the Web Host Company offers Operating System, Firewall maintenance, data backups, disaster recovery and application updates. There is a monthly or quarterly or annual basis pricing method so that the client can avoid the upfront cost and depreciation on the client’s balance sheet. With Dedicated Server the client need not upgrade the hardware or host the server on their premises which will incur a more additional cost for networking, space, cooling, power supply, maintenance, and security. Dedicated Server offers high Reliability because the users will be able to utilize and access all the resources like disk space and processor power without any downtime because of limited RAM space and unlike Shared Hosting creating unequal resources among the clients. With the Dedicated Server, the uptime is increased and it will easy to operate resource intensive websites and application with efficiently and smoothly. Only one user will be provided all the server resources and access to the server which in turn it makes the server more secured. 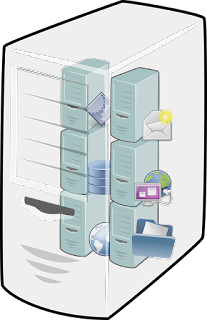 With Shared Hosting the client’s data are vulnerable to security issues. The users can set up advanced security measure in the Dedicated Server where they can set customizable security protocols according to their requirement. When the IP address will be shared with other users so there will less chance of the IP address getting blacklisted. The IP address is blacklisted when the IP of the server involved in a malicious activity like spamming etc so the Internet Service Providers blacklist such IP addresses. The email service will get affected because of this so to remove the IP from blacklist you have to pay some fees. You can further customize your admin access because with Dedicated Server you will get overall control of the server. You can install the software and further customize the overall functioning of the server such as resource usage, Operating system, RAM and much more. Having an overall control over the running of the entire server becomes easier to adjust the performance and security according to the requirement. In most of the Web Hosting Company, the Dedicated Servers are given undivided attention by providing advanced Technical support because of most of the client host mission-critical applications. So this will increase the uptime and eradicate the chance of the disruption of the server’s service and applications. With the Dedicated Server, the clients get overall control on the Server. So the client can customize anyhow they want so there will no restriction on anything. A client who has mission-critical applications and services should opt for this so that they can further improve their performance and security. When the server is only dedicated to one client then there is more computing power so ultimately all the resources will be available to that client which will keep the client in the posting of customizing the server depending on the requirement. As the Administrative has the full control then he/she can further customize the software and hardware according to their need. Servers are used to host websites and applications so if you are on shared hosting server you may planning to switch to a dedicated server so that you can increase the overall performance of the server and adopt advanced security measures. Just because you want to increase the performance and want to have full control of the server that doesn't mean that dedicated server is the only option. Dedicated Server is mainly for the people or companies who have heavy applications or have a huge amount of traffic where they will need a good amount of space and full control over the server. Managed Service is for those people who have the less technical knowledge and need more technical support but for Dedicated Server it is suitable for the system administrator and web development professionals.